Premium Olde Naples location 3 blocks to the beach and close to 5th Ave S. shopping and dining. Inspired by PERE Development and penned by Kukk Architecture. This striking home will include 5 spacious en-suite bedrooms plus a study and powder bath. 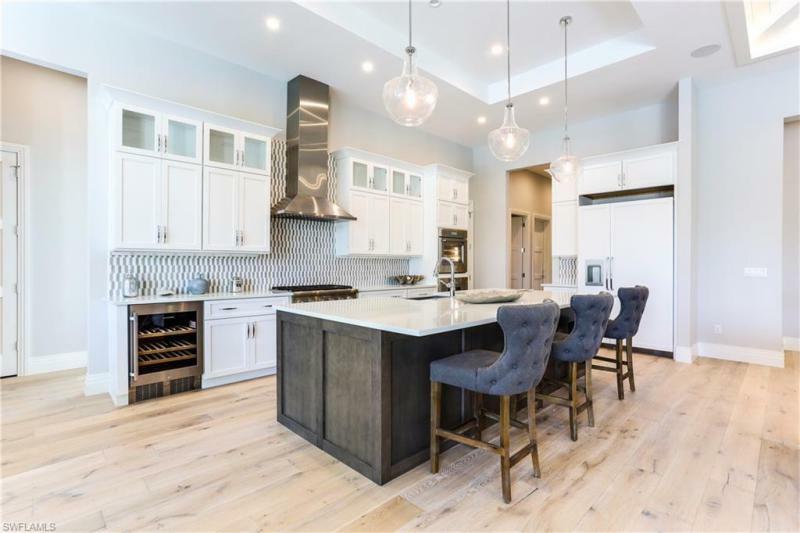 Your chefs dream kitchen with custom cabinetry and large island features Subzero and Wolfe appliances. The glass sliders seamlessly open the great room to the covered outdoor living area perfectly equipped for entertaining with outdoor fireplace and summer kitchen. Floor to ceiling windows overlook the pool and fill the home with natural light. The exterior features include shell stone decking and beautiful landscaping. This home boast unrivaled finishes and full concrete construction. A rear alley to access the 3 car garage.